Walk the one or two day sections of the trail with our three day/two night or two day/one night Kangaroo Island Wilderness Trail packages. All packages include ferry travel, accommodation, coach transfers and trail walks are accompanied by a guide in a small group. Our fully inclusive two or three-day Kangaroo Island Wilderness Trail packages are tailored for small groups of up to 11 guests and feature fully guided walks along selected sections of the Wilderness Trail. Each day guests are transferred to and from their accommodation at Kangaroo Island Wilderness Retreat to the walking trail in luxury 4x4 vehicles. The first day is spent visiting Seal Bay and seeing the Australian sea lion colony in their own beach environment. Enjoy a delicious gourmet style picnic lunch with South Australian wines on a heritage listed, exclusive natural bushland property, before exploring the islands spectacular beaches and bushland. 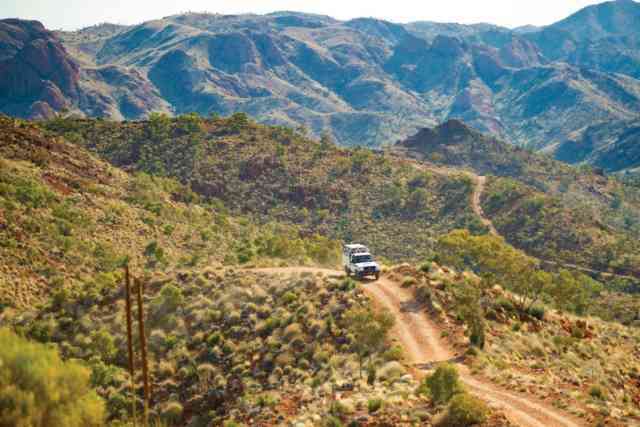 On day two experience the 13km Wilderness Trail between Cape du Couedic to Sanderson Bay. Visit the popular sites of historic Weirs Cove, Cape du Couedic Lighthouse, Admirals Arch and Remarkable Rocks. See the rugged wilderness of the islands south coast, as the trail hugs the coastline and offers cinematic views, before relaxing at the isolated and protected campsite North of Sanderson Bay. Guests on the one night tour will be transferred to Penneshaw at the end of the day to meet the ferry and coach back to Adelaide, while guests on the two night tour will be transferred to their second night of accommodation at Kangaroo Island Wilderness Retreat. Day three of the two-night tour is spent walking 13.5km from Sanderson Bay to Grassdale. 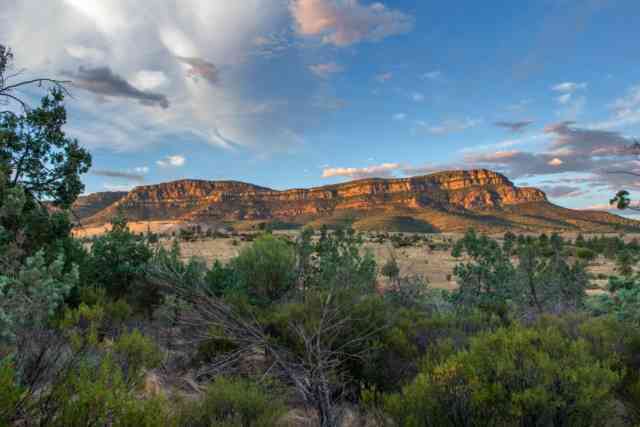 Witness the spectacular coastal scenery and views, towering cliffs and changing inland vegetation from low coastal heath to tall, dense mallee and tea tree. Punt across South West River and visit Hanson Bay Beach, before following the winding river to Kelly Hill Conservation Park and the historic Grassdale property. From here guests will be transferred to Penneshaw to meet their ferry and coach back to Adelaide. The two and three-day Kangaroo Island Wilderness Trail packages depart on 17 May, 14 June, 12 July, 16 August, 13 September, 18 October and 15 November, 2017 and 14 February and 14 March, 2018. 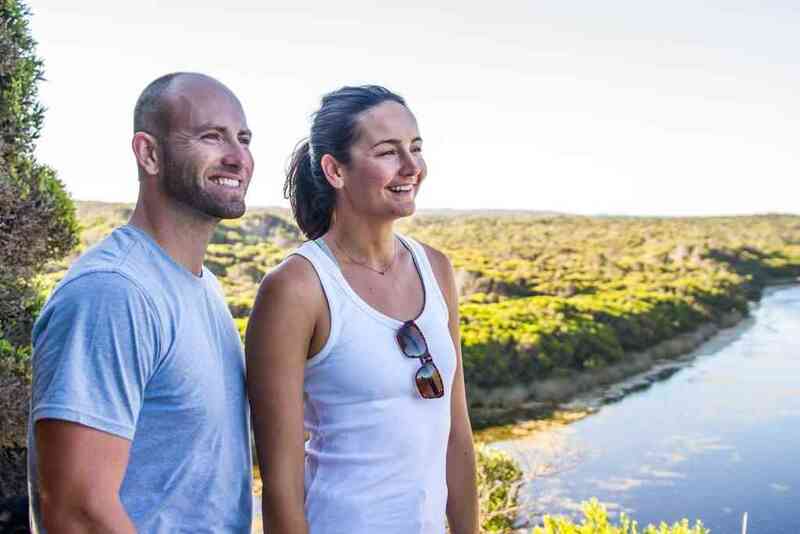 The two-day Kangaroo Island Wilderness Trail is priced from $1180 per adult twin share and the three-day package is priced from $1786 per person twin share. Two and three day Kangaroo Island Wilderness Trail packages include return transport to/from Kangaroo Island (Coach/Ferry or Fly), luxury 4x4 touring and transport with a local driver guide, all entrance fees and special permits, one day tour of Kangaroo Island with a delicious gourmet picnic-style lunch and South Australia wines, one or two day guided walk along the Kangaroo Island Wilderness Trail, and one or two nights’ accommodation at the Kangaroo Island Wilderness Retreat including dinner and breakfast. All two and three-day Kangaroo Island Wilderness Trail tours booked through us will receive a backpack containing water, packed lunch, trail food, hat, sunscreen, trail guide and map. The Kangaroo Island Walking Trail is categorised as a Grade 4 walking trail, and a good level of fitness is required. It is not recommended for children under the age of 10 due to the distances travelled, exposed coastal environment and often adverse weather conditions.